Book your Crystal Dawn Trip! 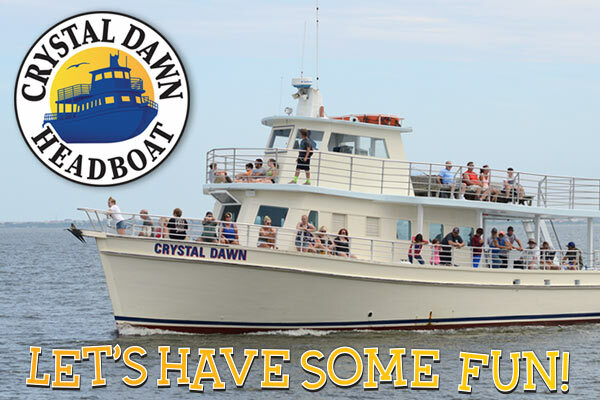 The Crystal Dawn can be booked for a Half-Day Inlet and Sound Headboat Fishing trip, a Roanoke Island Sunset Cruise, a Purple Martin Excursion, or for a private fishing trip or cruise! See availability below. If you have questions or concerns before or after your trip call 252-473-5577 or email us.